Planning a wedding can be stressful as well as expensive. Find freebies that help you plan and prepare, as well as items you can use after the big day. The President Tuxedo catalogue offers ideas for the modern bride and groom on what to wear for the big day. Rox Beach Weddings offers a free catalogue based on Ocean City weddings, but you can get ideas if you are planning a beach or beach themed wedding as well. Contemporary Wedding Magazine has a wealth of info from dresses to honeymoon planning and offers free digital issues. New England Bride gives free digital copies only (no account required, just click on the issue you want to browse). Weddings With Style is an international publication that offers brides a free complimentary copy. Check your local area for location-specific publications. Omaha, for example, offers a free Wedding Essentials digital magazine, while Seattle Weddings offers a free Weddings Book. Get organized with extra help from these sites and apps, which offer plenty of planning tools and checklists for the big day. Weddingwire has checklists, customizable to-do lists, seating charts, vendor management help, budgeting tools, and more. Get the Weddingwire app, too. The Knot is another one-stop site for planning. Register for a free account and get access to checklists, budgeting tools, wedding day timeline planner, and even a wedding website to share your story. A free app is also available. WeddingHappy is a free planning app you can download and customize with your wedding plans quickly. Reviewers say the app helps couples stay on track and plan without being intrusive. If you prefer pen and paper, download the free printable wedding planning binder pages from Botanical Paperworks. If you're looking to save money on things like invitations, save-the-date cards, thank you notes, or even menus, place cards, and seating charts, find free printables and templates to help. 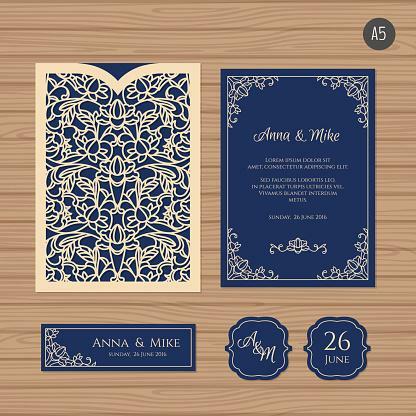 Cards and Pockets offers over 35 different wedding invitation templates you can customize and download for free. Wedding Chicks offers a large selection of printable invitations and save-the-date cards, as well as other free printables like table number cards and monograms. Craft blog Everything Etsy has 101 free wedding printables that include invitations, guest book, advice cards, favor labels, signs, and stationary. Jenny Bevlin's Chicfetti has a nice selection of free printable items including thank you notes, signs, and monograms. Avery Press has free templates in a variety of different themes for post cards, place cards, labels, and banners. To help make your day really special, set up a simple wedding website for free. Joy is an easy-to-use site where you can create your own wedding website to manage, plan, and share. Send paperless save-the-dates and invites, manage guest lists, share photos, and more. Zola offers a free website option that lets you share details of your wedding and registry as well as customize interactive questions and keep track of RSVP's. Minted has a free wedding website with different templates where you can share maps, photos, wedding details, and keep track of RSVP's with their online tool. You can find a few places with legitimate free wedding samples. Planning on using silk petals? 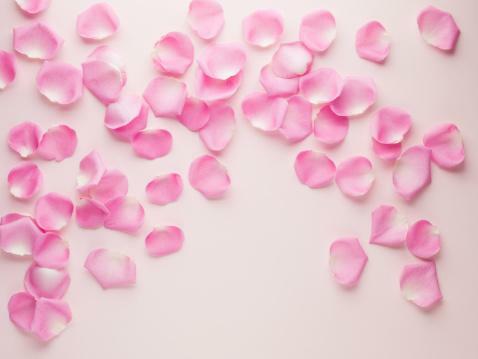 Petal Garden offers free samples of their silk rose petals (choose from up to eight colors) to help you select which will be best for your ceremony. Trying to decide on colors or fabrics for bridesmaid dresses? Companies may offer free swatches. Two Birds offers complementary fabric swatches in five to seven colors, Bridal Fabrics gives two free fabric or lace swatches per customer, and Mix Bridal will send up to six different color swatches. While most wedding favor samples require a small cost, you can occasionally find places the offer free ones, such as WeddingPackets.com. They send a seed packet sans seeds to let you see how the favor packets look. Consider going to bridal shows to get free samples of swag bags. While some of these shows cost, others are free to attend. You can also sign up for prizes and sweepstakes, try samples of food, drink and cake, and obtain discount codes and coupons for services. Many places will send invitation samples upon request. See and feel the design before your order. Check Vistaprint (request a free Wedding Sample Kit with invitations, RSVP cards, envelopes, program, menu, and save-the-date magnet as well as different card stock options) and Shutterfly (they also offer a Wedding Kit that showcases different designs and customization choices) along with specialty stationary stores like MagnetStreet. Amazon: Get free gifts from participating brands once you receive a certain dollar amount in your registry as well as 20 percent off discounts for Prime members. Bed Bath and Beyond: You may qualify for free mugs, luggage tags, and more. Crate and Barrel: Receive a set of free stemless wine glasses, along with brand-specific incentives, when you set up your registry. In addition to the above mentioned types of freebies, explore LoveToKnow Weddings to find plenty of resource articles and printables. Freebies like the tools and samples listed above can help you save, plan, and prepare for the perfect wedding.